Mission is often an action or group of individuals that are formed with the intent of action. Vision however, in at least one sense, is a conceptual thing similar to the ideal of a real thing. These two both have place and often have place together in the realization of goal. Mission can refer to a group of individuals, the act that a group or individual is to carry out, or to the actions involved in the completion. In general these groups or organizations fit one or two classifications. Among the more common is the group that enters into a foreign area. The other is a group that is stationary and generally these are religious outreach to a community in need. The basic concept is similar the outreach; whether through entering a foreign land or a separated fraction of a community. Mission can also refer to the specific act that is to be carried out, as in the case of a mission statement. 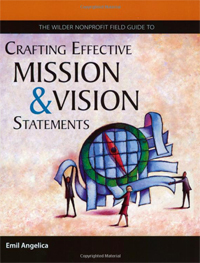 The particular actions involved in completion of the mission statement may also be referred to as missions. Generally these will be clearly defined, and many missions may be involved in the accomplishment of an overall goal. There are multiple definitions of mission that aren’t related to these concepts. Vision generally refers to a concept. The idea that an individual holds as the ultimate goal is that individual’s vision. Some visions may be more or less clear. Visions may also change during the course of efforts toward a vision, but due to their conceptual nature they are not necessarily realistic and therefore may not change. The reality of a group of organization may seem to meander or depart from the vision as a result of this. These are not the only definitions of vision some are rather medical or biological in nature and mostly unrelated. A vision may be an initial galvanizing clarity that sparks action or the organization of a mission. In organizations a mission statement may be drafted that attempts to capture and possibly describe the vision of the organization. In the course of efforts toward that vision a number of missions may be embarked upon. lanceraa. "Difference Between Mission and Vision." DifferenceBetween.net. August 28, 2009 < http://www.differencebetween.net/language/difference-between-mission-and-vision/ >. to be very realistic if my vision is to be intelligent, would my mission be studying critically, regularly? Arif, you asked a good question. Vision is long-term inspiration and for this you should set your mission like in your example be punctual in critical study. My purpose for the research was achieved,God richly bless you.